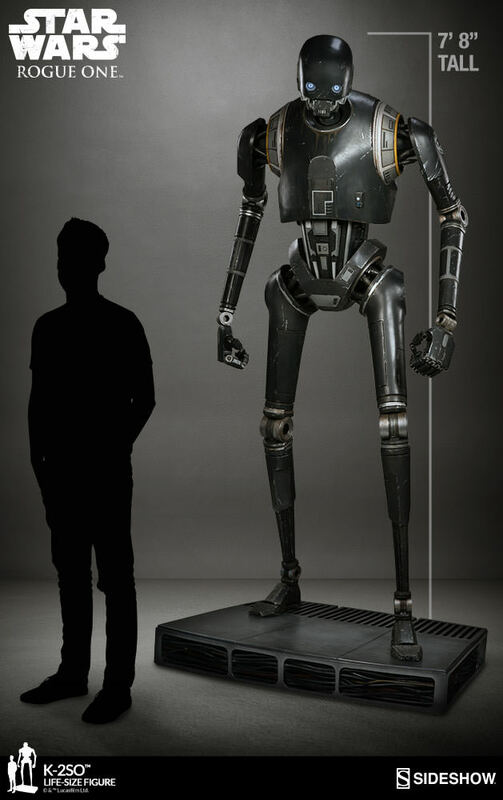 Sideshow is proud to present the Star Wars collectible K-2SO™ Life-Size Figure, standing by as you requested. 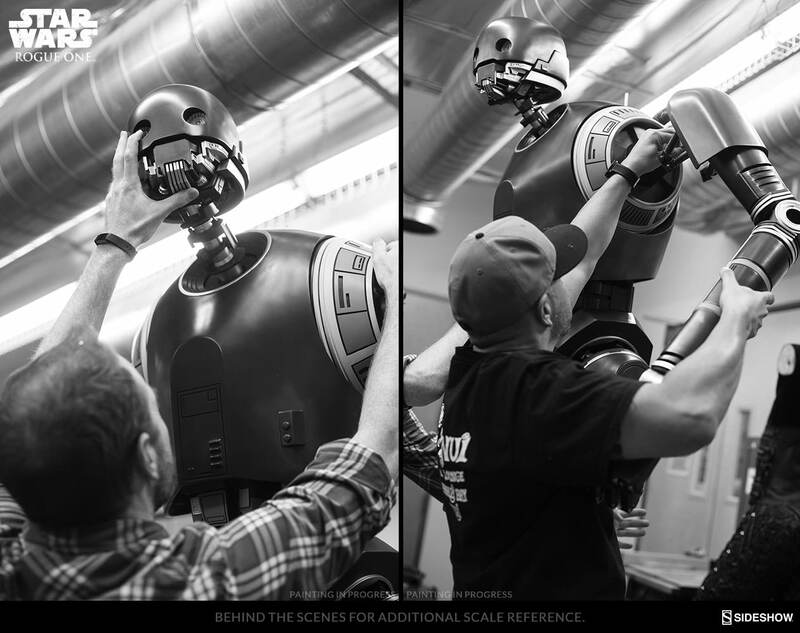 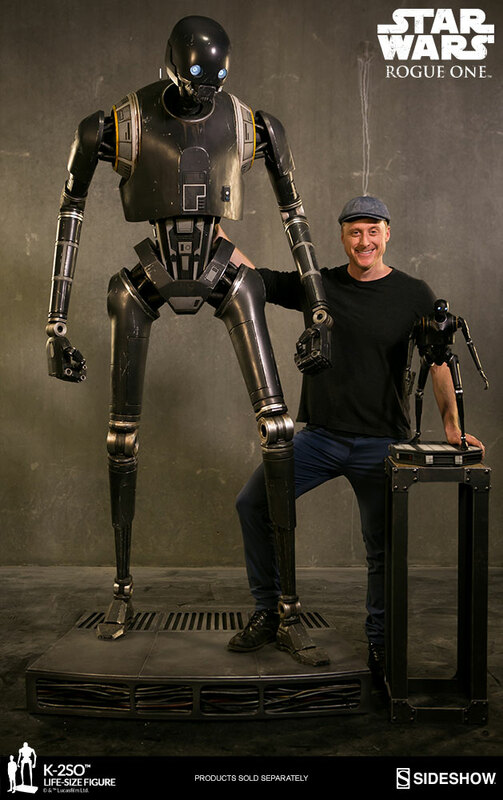 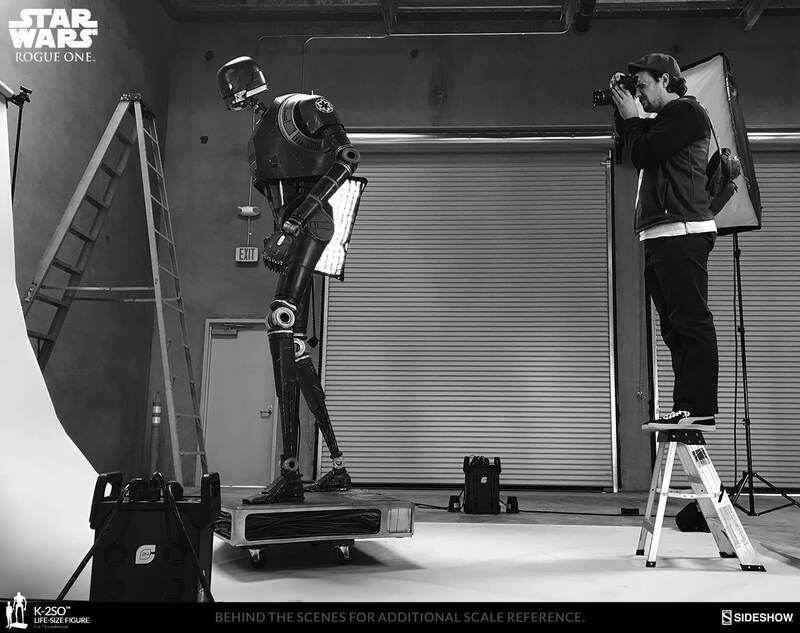 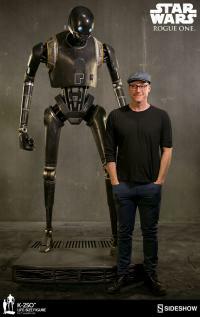 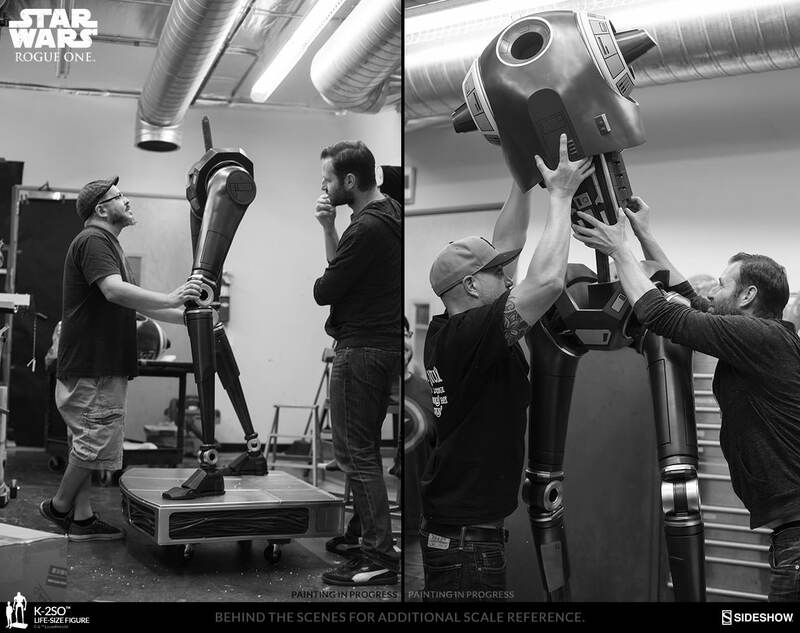 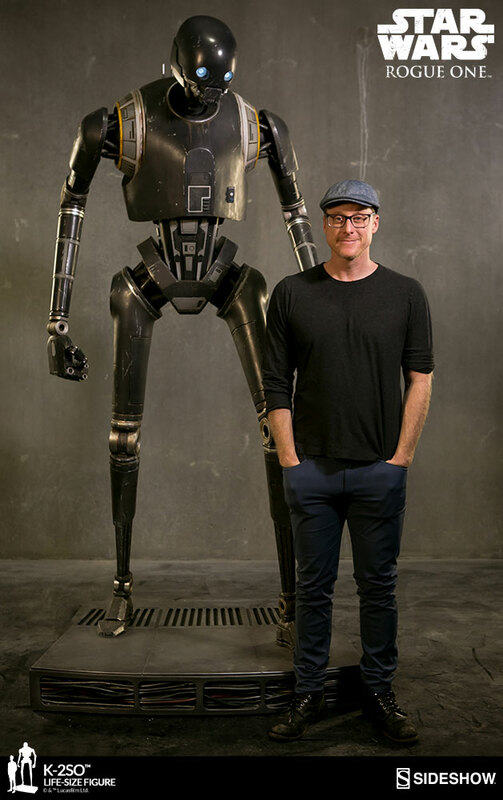 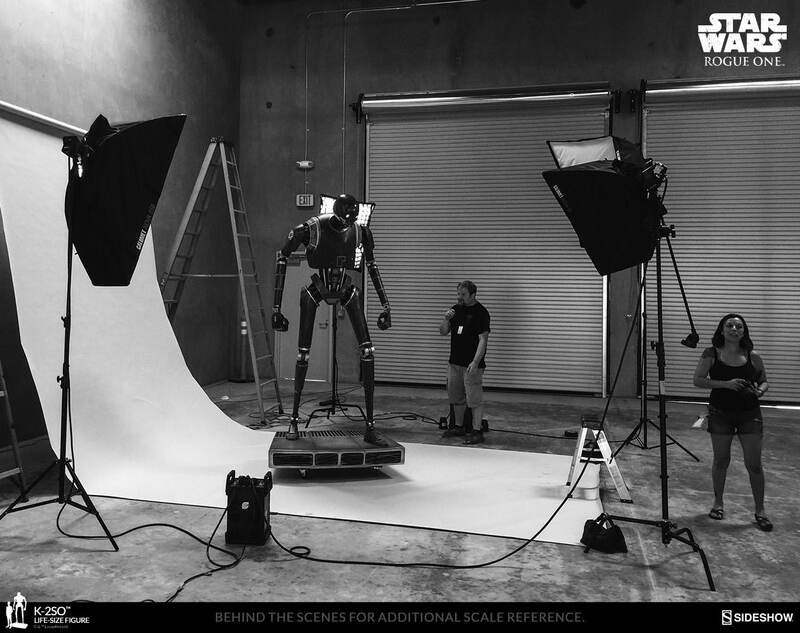 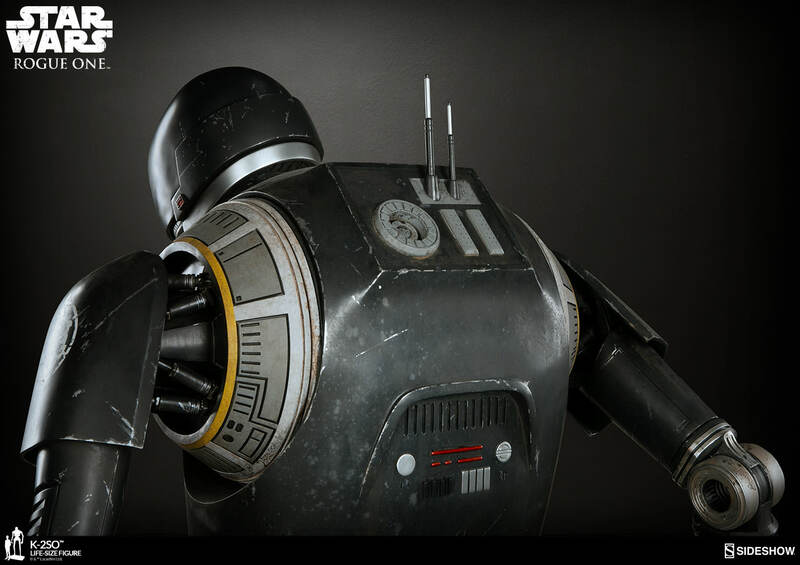 The K-2SO Life-Size Figure captures the larger than life presence of the back-talking droid that captured the hearts of fans everywhere in Rogue One: A Star Wars Story. 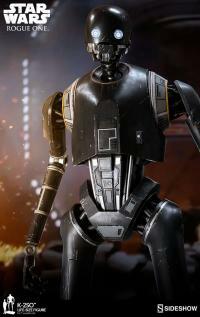 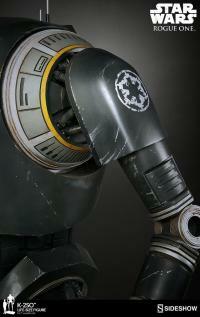 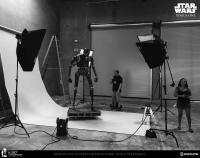 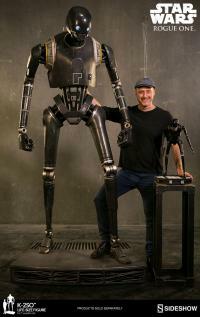 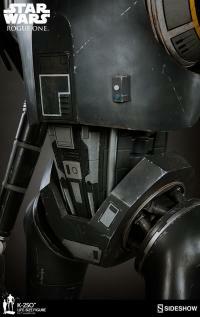 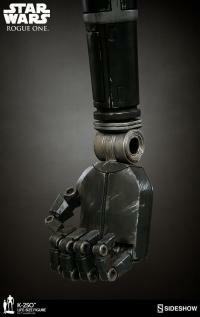 This impressive reprogrammed imperial droid stands 94” tall, towering over rebellion and your collection. 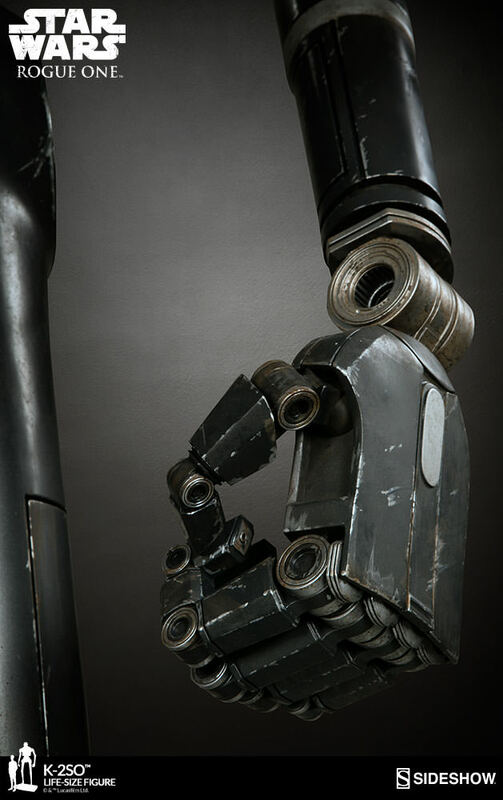 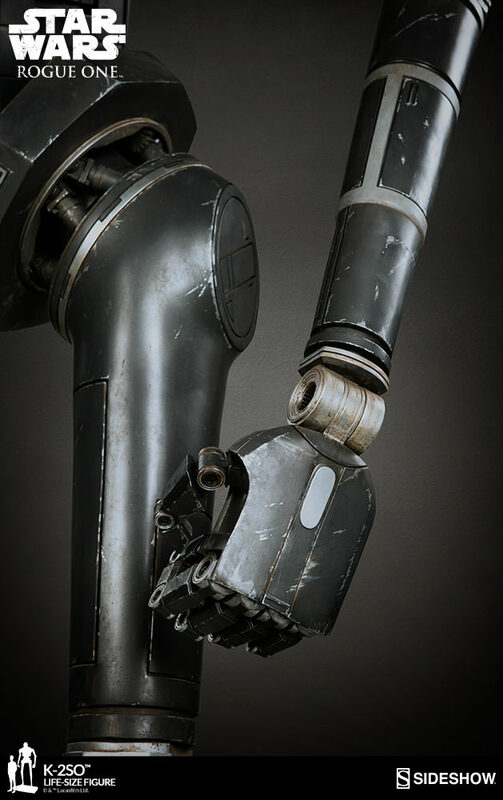 K-2SO is outfitted with a variety of intricate pistons and gears in his various joints, showing off his complex construction. 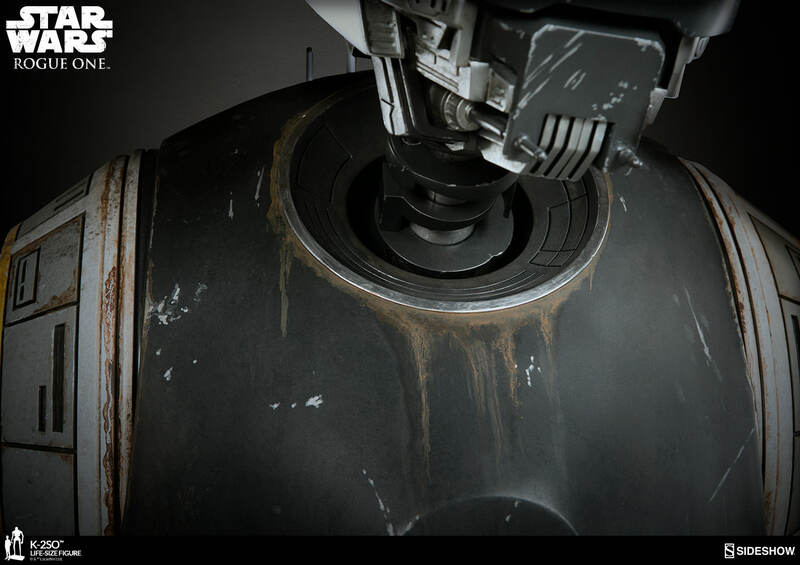 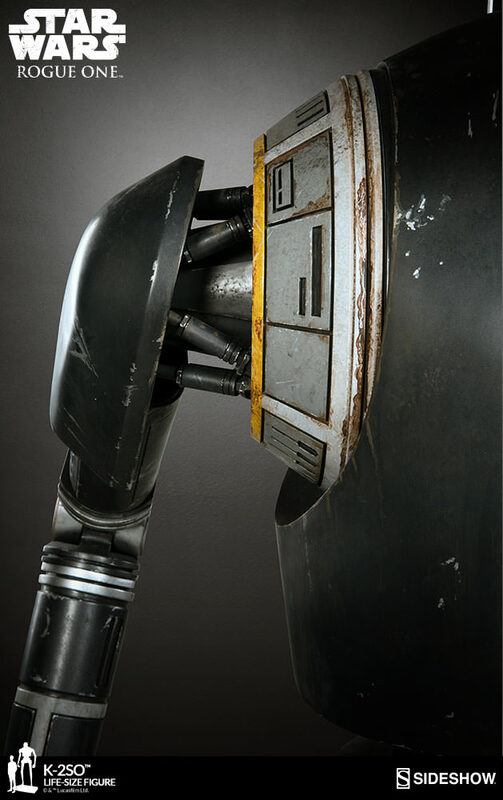 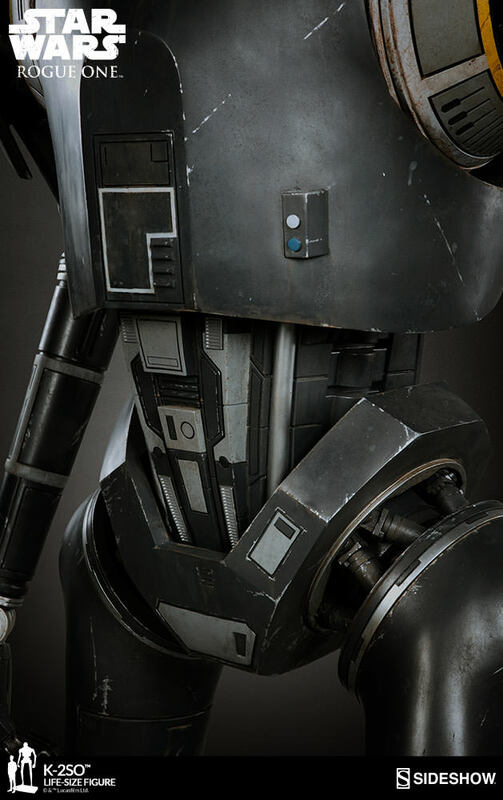 K-2SO’s black external armor is visibly weathered and detailed to recreate the battle damage this droid has received during his service to both the Empire and the Rebellion. He is also painted with red and yellow details on his shoulders and technical panels and has the logo of the Empire emblazoned on his shoulder. 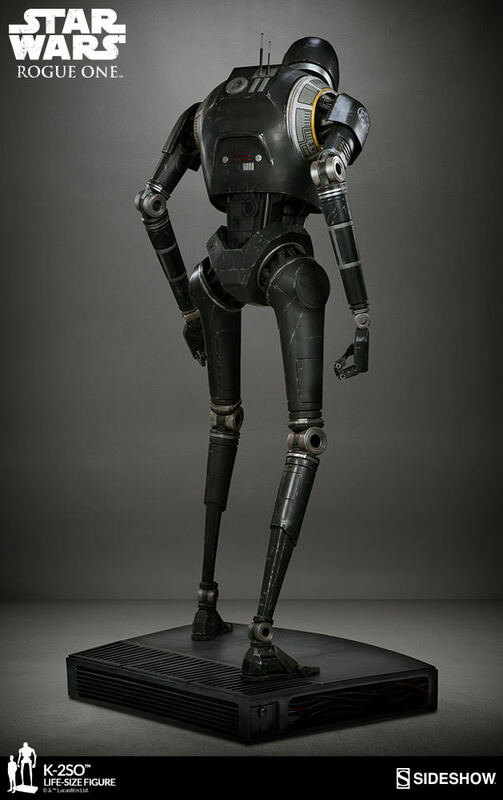 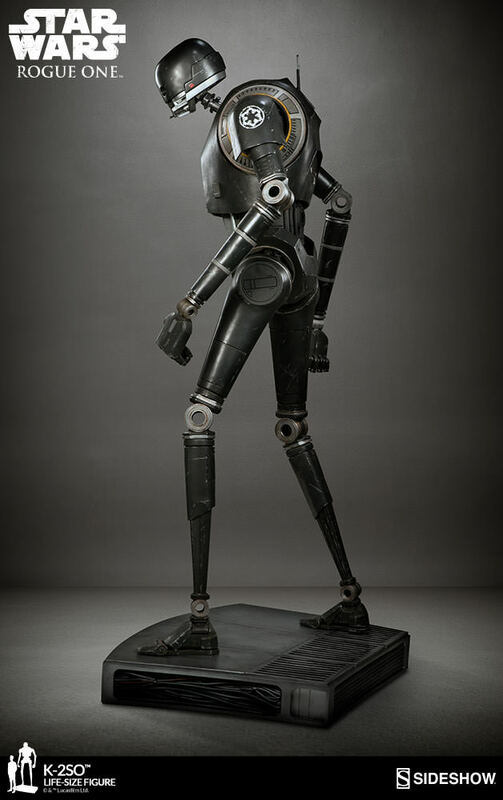 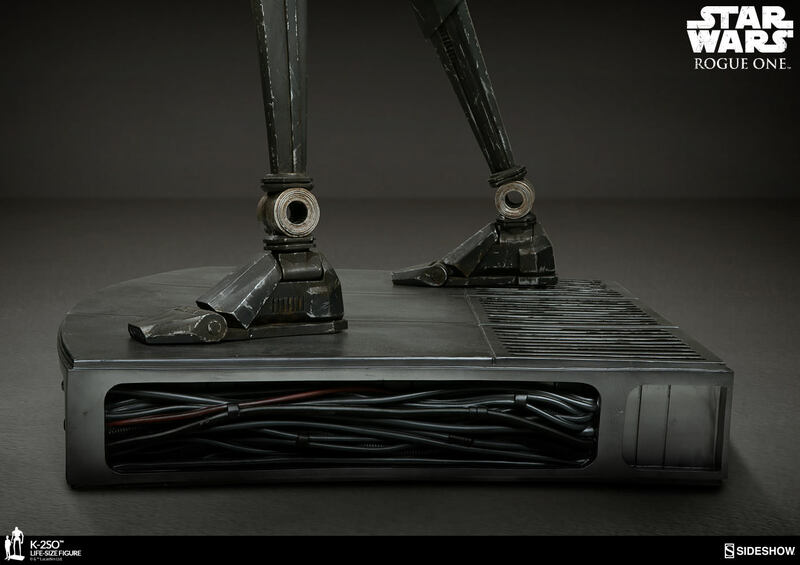 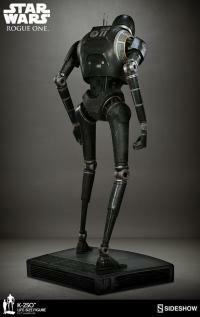 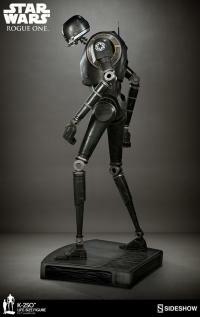 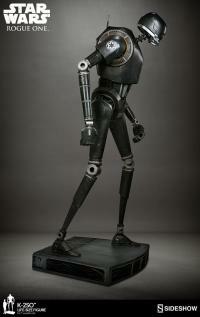 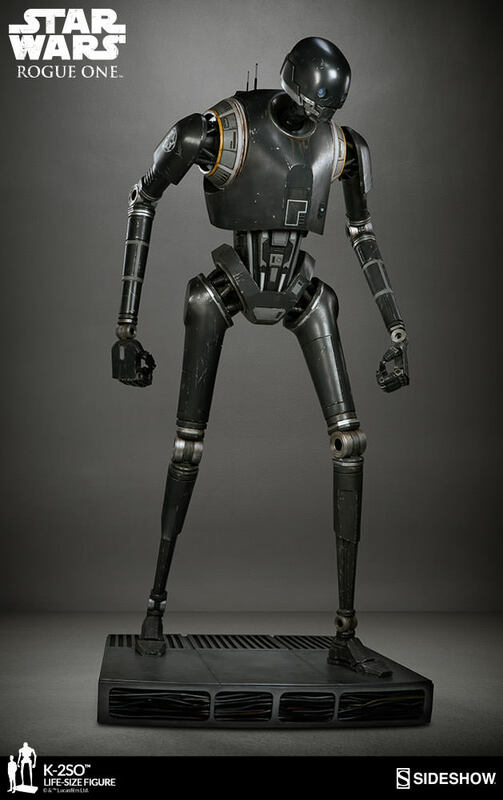 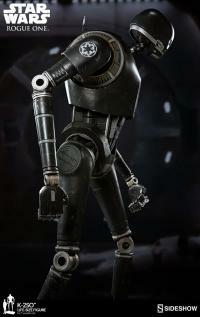 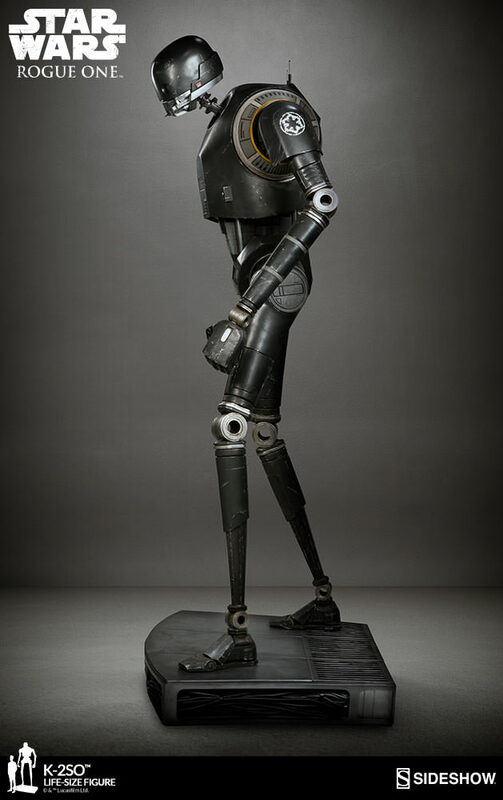 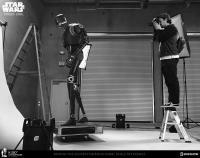 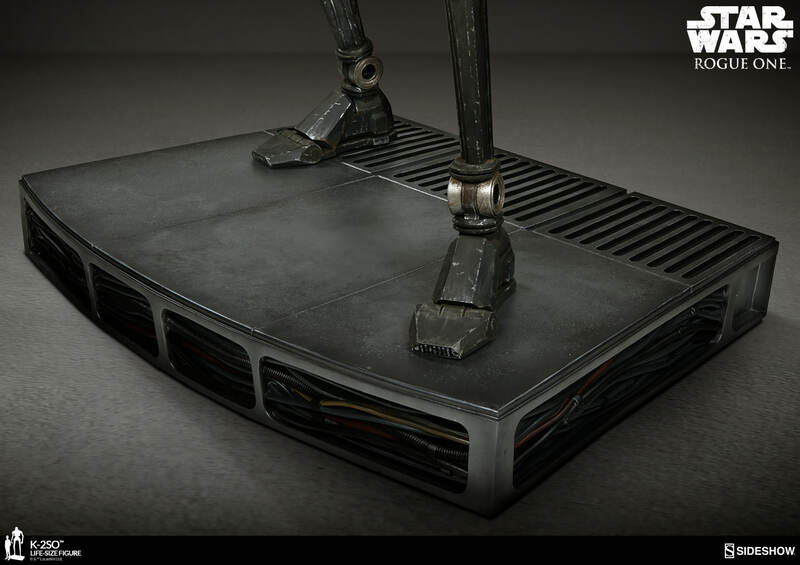 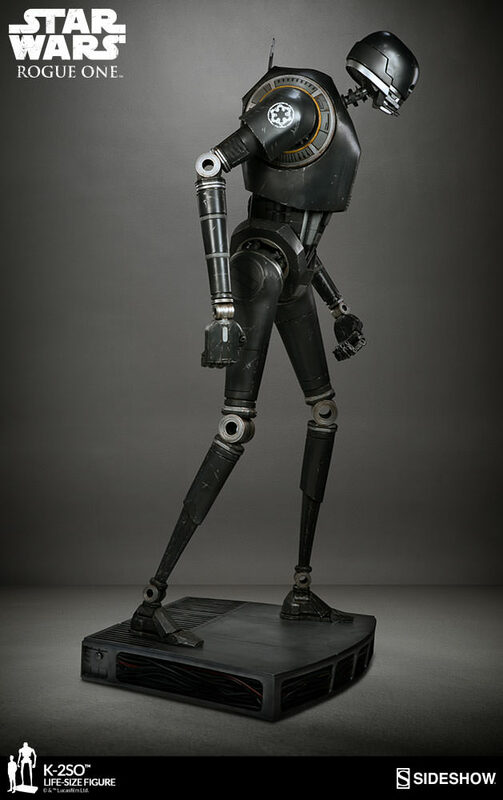 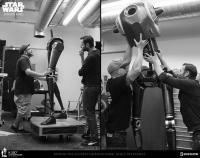 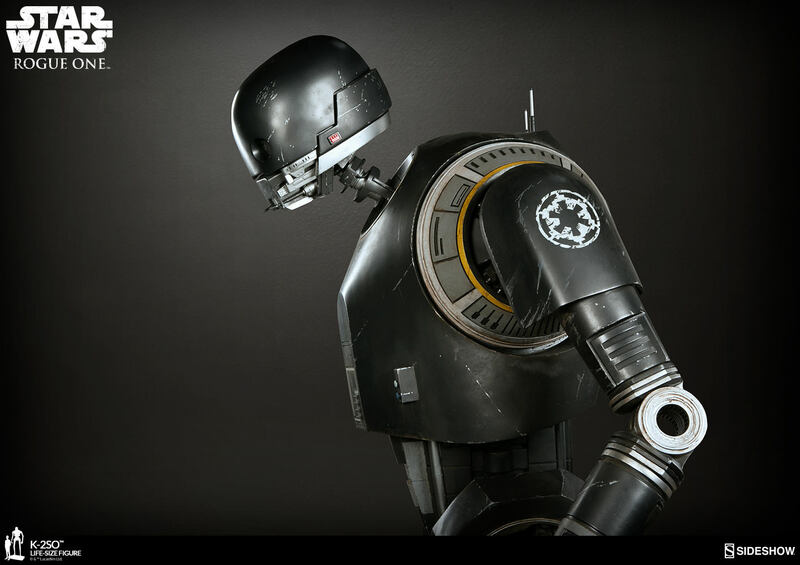 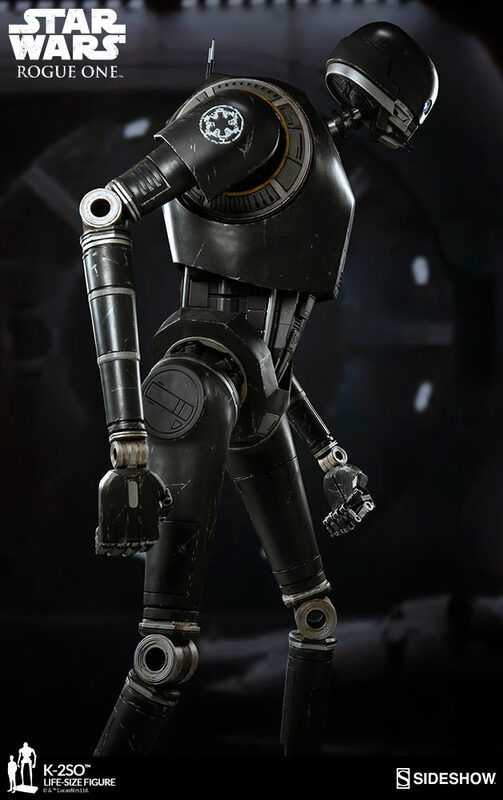 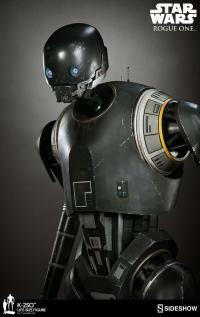 The witty rogue droid is composed of fiberglass, resin, and metal to stabilize him and support his unique gait. 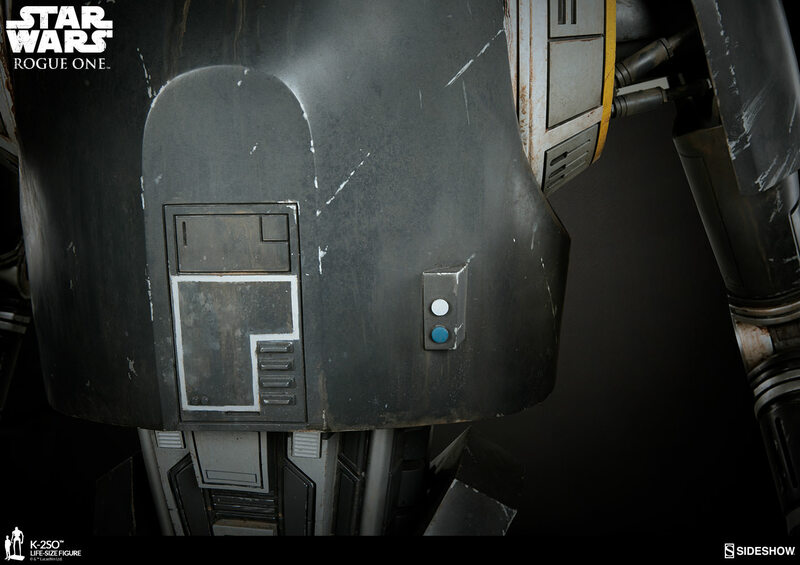 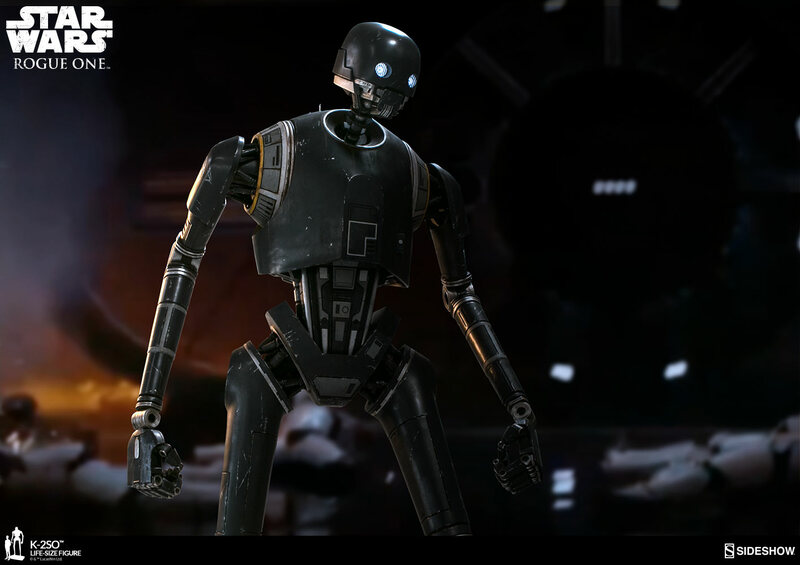 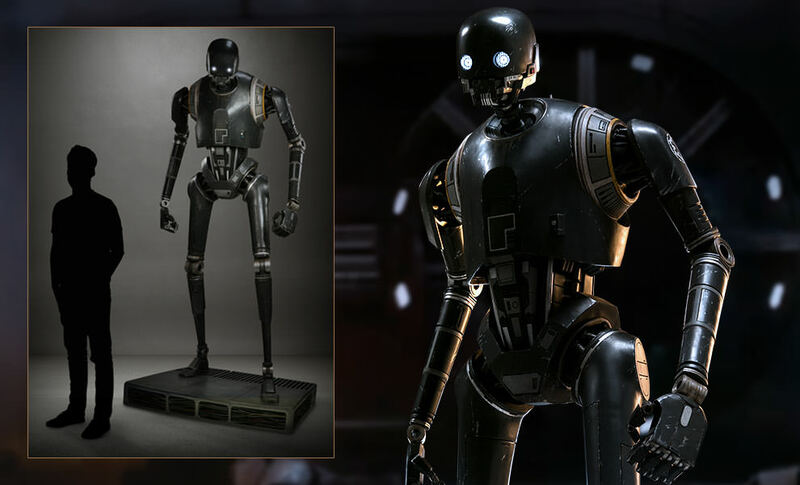 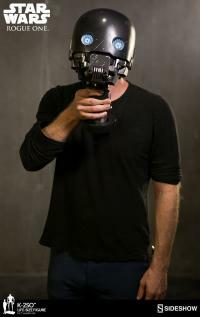 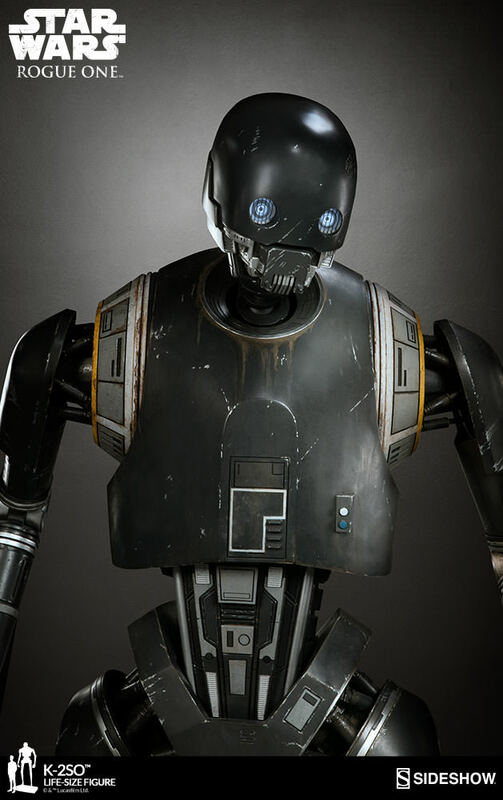 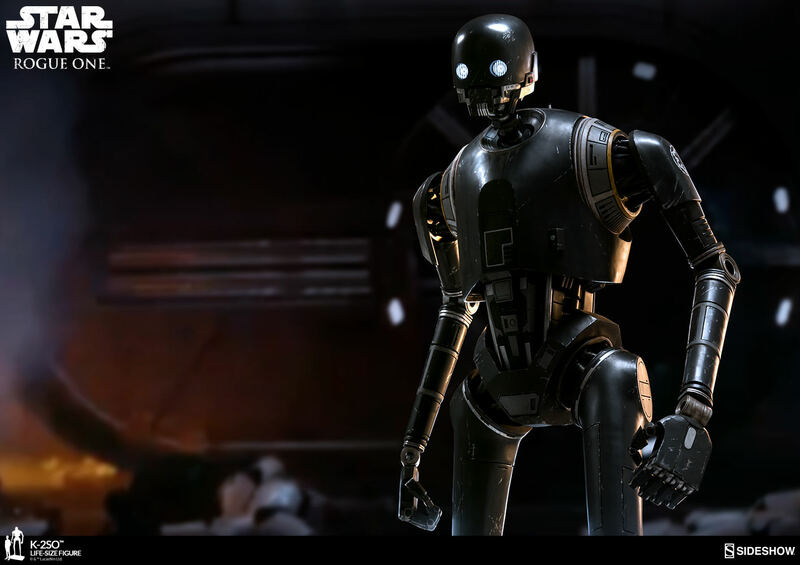 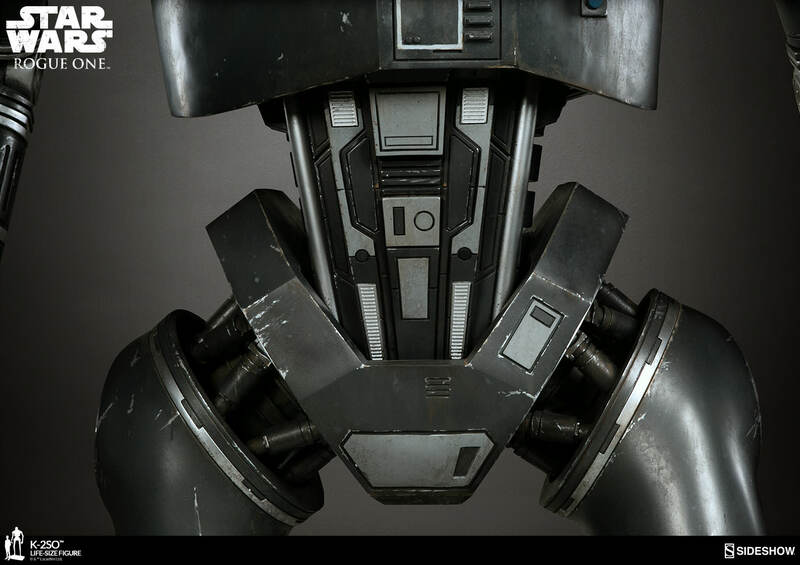 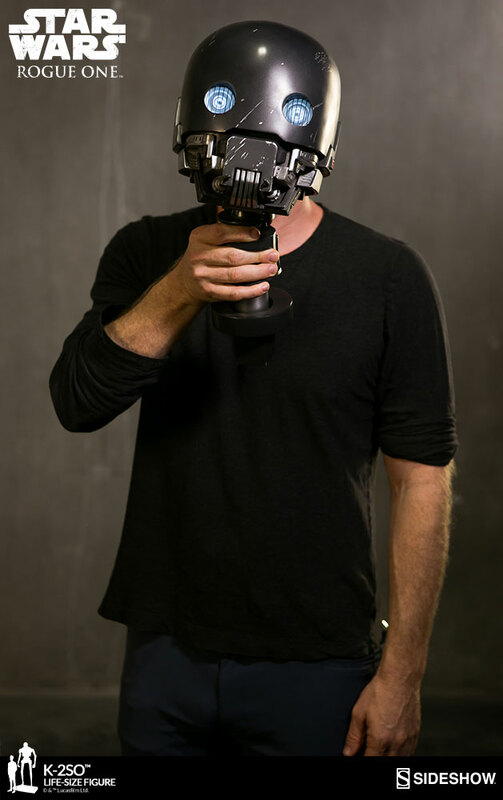 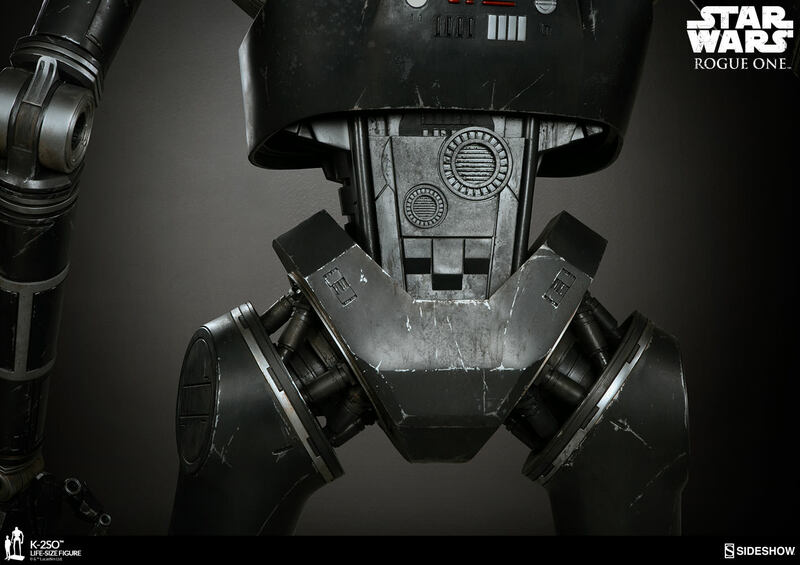 K-2SO’s portrait features light-up eyes and a poseable head, allowing you to display him with an ‘activated’ look. 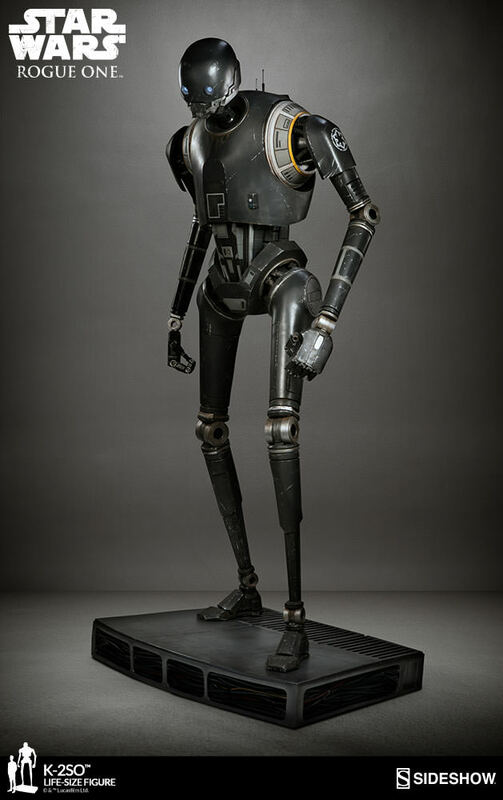 Go rogue and add the K-2SO Life-Size Figure to your Star Wars collection today! 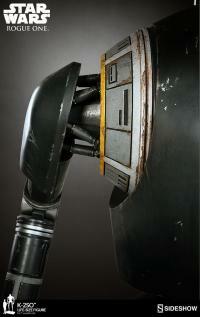 Pay as little as $890.00/mo.